Mark Ingram had a big year in 2016, thanks in large part to the fact that he stayed on the field for all 16 games for the first time since 2012. He posted career highs with 1,043 rushing yards, 5.1 yards per rush, and 10 total touchdowns. Despite these totals, the Saints remained a pass happy offense with Ingram posting over 20 carries only once and providing only three games of over 100 rushing yards. 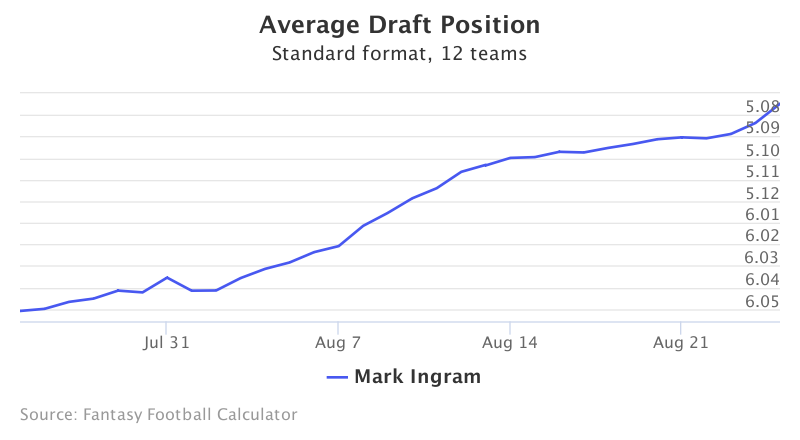 Mark Ingram's current average draft position is 5.09 overall in 12-team standard mock drafts. Ingram's ADP took a hit after the addition of Adrian Peterson but has rebounded from the late 6th round to the late 5th round in the past month. The Saints added not one, but two running backs in the off season. First they won the race to sign the still coveted Adrian Peterson over a number of other teams. They then proceeded to trade up in the third round of the draft to take dynamic Tennessee product Alvin Kamara. The moves speak to both durability concerns and how the team views Mark Ingram's role moving forward. With a crowded backfield, projecting how each player will perform in the upcoming fantasy season isn't so much around talent as it is opportunity. Mark Ingram is an established cog in the Saints offense, Adrian Peterson is one of the greatest running backs of all time and Alvin Kamara has already shown flashes of his potential. 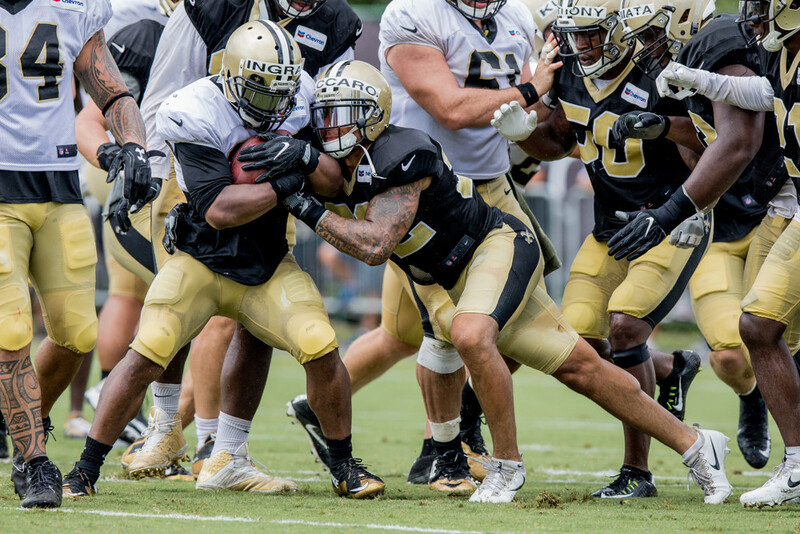 Sean Payton has been quiet on how the backs will be used, but has consistently used the running back by committee approach as the Saints coach. He also does not prescribe to the hot hand approach that Bill Belichick uses, an important consideration for fantasy owners. Instead, he gives running backs consistent opportunities each game. In addition the team runs a spread concept that can highlight a passing down back. Ingram has improved his pass catching averaging 48 catches over the past two years. With these considerations in mind, it seems likely that the majority of the carries will be split 50/50 for Ingram and Peterson with Ingram and Kamara making cameo's on third and passing downs. Mark Ingram is a low floor running back who is fairly valued at his current ADP as a late 5th round, early 6th round pick. Barring injuries, the teams backfield depth limits most upside potential but Ingram should still command around 175 carries and 45 receptions. He is a safe but uninspiring pick that does carry some injury risk.